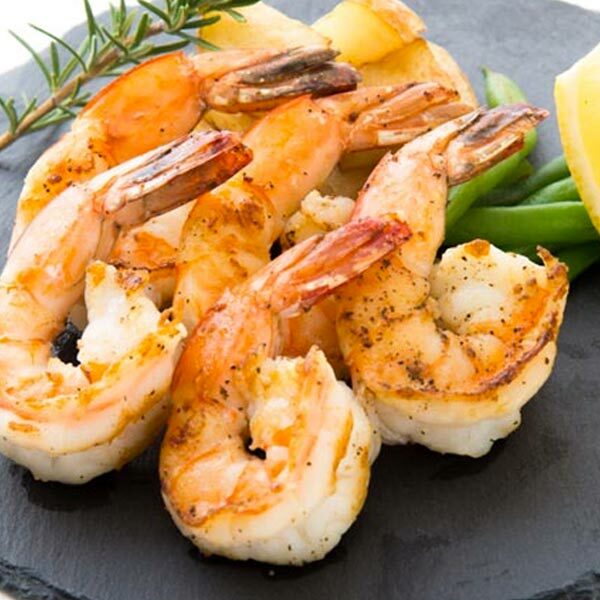 Rinse shrimp under cold running water and drain thoroughly on paper towels. Do not peel. Arrange shrimp in baking pan. Combine butter, oil, soy sauce, lemon juice, garlic powder and Tabasco® in a saucepan; bring to a boil, stirring to melt butter. Remove from heat and stir in filé powder and tequila. Pour mixture over shrimp, making sure all are coated. Bake in a 425°F oven for 15 to 20 minutes, stirring once or twice. Transfer shrimp and remaining sauce mixture to a serving bowl. Serve with warm tortillas. Peel and eat at the table.